On April 7 at approximately 1:45 a.m. a Calcasieu Parish Sheriff’s Office deputy conducted a traffic stop on a car in the 1800 block of I-10 Service Road in Lake Charles. When the deputy spoke with the driver, Hilmer R. Romero-Arias, 32, California, he could smell the odor of an alcoholic beverage emitting from his breath The deputy also observed him to have bloodshot eyes and unsteady balance as well as slurred speech. When the deputy asked Romero-Arias if he had anything to drink he advised the deputy he had just left a bar on Broad Street in Lake Charles where he had approximately 3 beers. When the deputy asked Romero-Arias for his driver’s license he stated it had been suspended for prior DWIs. After Romero-Arias performed poorly on a standard field sobriety test he was arrested, at which time he became combative. While deputies were attempting to place him in the back of the CPSO unit he attempted to pull away and kicked deputies several times. 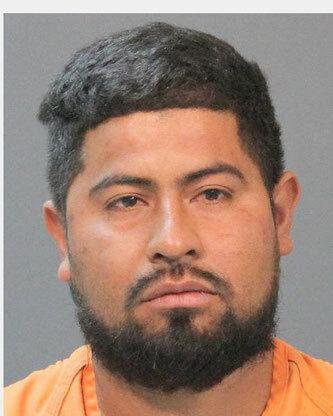 After deputies restrained Romero-Arias he was transported to the Calcasieu Parish Sheriff’s Office for breath intoxilyzer test; but became combative again at which time deputies obtained a warrant to have his blood drawn for a toxicology report. Romero-Arias was then transported to a local hospital. While hospital personnel were attempting to collect the blood sample Romero-Arias slipped his handcuffs and once again became combative. Deputies immediately regained control of him at which time he had to be strapped to a bed and covered with a spit mask so hospital personnel could obtain the blood sample. Romero-Arias, who has 2 prior DWIs, was booked into the Calcasieu Correctional Center and charged with DWI 3rd; driving on a roadway laned for traffic; driver must be licensed; and 3 counts of battery on a police officer. Judge Clayton Davis set his bond at $18,500. Deputies also contacted U.S. Border Patrol due to Romero-Arias displaying a suspected fraudulent ID card during the traffic stop. CPSO Cpl. Tyler McKnight was the arresting deputy on this case.